Walking - A Way To Nurture Your Mind, Body, And Soul! Health & Fitness Walking – A Way To Nurture Your Mind, Body, And Soul! Walking – A Way To Literally Walk Your Way To More Good Health! A good bet for the out-of-shape and overweight, walking is a preventive health measure of the highest order. But for some, walking offers even more: It’s a path to recovery, a prescription for healing. A way to literally walk away from major illness – like heart disease and diabetes. What miracle treatment can help alleviate heart disease, diabetes, arthritis, obesity and depression? It’s as simple as putting one foot in front of the other. An increasing number of physicians – and their patients – are today re-discovering the wisdom of an old adage: Walking is good medicine. The prescription comes backed by a solid and growing mound of scientific evidence. Researchers have found that brisk walking can lower blood pressure, help people lose weight without dieting, improve blood-fat levels, reduce the need for insulin in people with adult-onset diabetes, relieve back pain, even improve mood and thinking skills. Walk away from heart disease! Heart specialists are particularly enthusiastic about walking, and with good reason. Walking may help prevent cardiovascular disease, and it’s one of the best ways to help people recover after surgery or a heart attack. Walking gradually makes heart muscle stronger, so the heart can pump less often and rest more between beats. Walking richly oxygenates every part of our bodies and helps cells use oxygen more efficiently. Efficient use of oxygen is especially important for people with cardiovascular diseases, whose impaired circulation may cut back on oxygen supplies to the body. Several studies have also found that blood-fat levels change to a healthier balance when people participate in regular brisk walking. Specifically, they have found that HDLs (high-density lipoproteins), blood fats thought to help protect against heart disease, rose significantly in those on a brisk walking programme, while levels of artery-clogging blood fats fell. Larger studies have confirmed the fact: Every step you take is a step toward a stronger heart and a longer life. In one major study some 12,000 men who were at risk for developing heart disease, were studied over seven years by researchers at the University of Minnesota School of Public Health. They found that those men who were moderately active in their leisure time had 30 per cent fewer deaths from heart attacks than more sedentary men. In particular, the decreased chance of dying was associated with light and moderate-intensity activities that is, walking – and also bicycling, dancing and swimming. And the duration of activity necessary to make a difference was only 30 to 60 minutes a day. Many studies also suggest that walking can help prevent a second heart attack in people who’ve already experienced one. Their researchers agree that many heart patients can benefit from walking, as long as they have their doctor’s go-ahead. The stress test is a prerequisite to any cardiac rehab programme. It shows the doctor if any heart blockages remain and how long a patient can walk without stressing his heart. Walking is the activity most often recommended by doctors who treat diabetes. Why? Because the average type-II diabetic is 56 years old, overweight and has been sedentary most of his or her life. Walking is the gentlest, most convenient way for him to ease into activity and keep it up. “Research very clearly shows that exercise enhances the ability of the muscles to take up blood sugar; as a result of that, the requirements for insulin in most people decrease,” says James Rippe, medical director of the Rockport Walking Institute. Exercise seems to have a beneficial effect on blood sugar for up to 48 hours, so exercising faithfully at least every other day will produce the best results. Doctors generally encourage diabetics to walk after dinner, when blood sugar peaks. Exercising when blood sugar is low can cause dizziness in diabetics. Exercising after dinner won’t have that effect. In fact, it can actually help normalize blood sugar. Walking (with your doctor’s O.K.) comes highly recommended by the American Diabetes Association and by the National Diabetic Association of India. Today’s good-quality running and walking shoes do a super job of cushioning tender diabetic feet. Once properly diagnosed and treated (with appropriate medication, if needed, and physical therapy), most people with arthritis can benefit from a regular exercise programme. 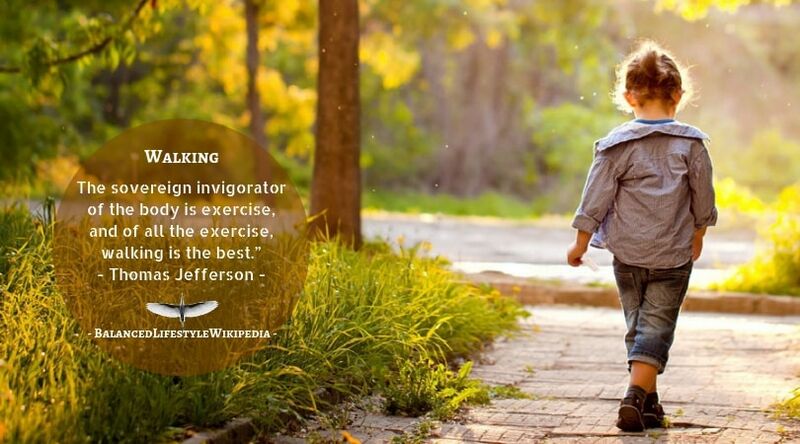 And recent research suggests that walking may be the best exercise for them. Walking helps to strengthen the muscles around the joints. This, in turn, may prevent joint injury and disfigurement and seems to relieve some of the pain that may occur when bones rub against bones. The natural tranquilizing effect of walking also helps to ease arthritis pain. And its mood-elevating effect offers an added benefit. Walking can greatly improve a person’s attitude and fight the vicious circle of depression and pain. Start slowly, walking as far as you can without feeling more pain than before you started. If that means walking across the room, fine. Just down the lane? That’s a good start, too. It’s very important for arthritics to listen to their bodies. Pain is a valuable indicator of misuse. Although arthritics may experience some pain with any movement, if the pain worsens when they begin to walk, they may be damaging their joints. Strengthening or stretching exercises – or perhaps some medication – may be needed. It’s very important to work with your physician. Once a person has established the distance he or she can comfortably walk, it’s advisable to get into a routine. Walk three to four times a week, increasing your distance by no more than 10 per cent every two weeks. Exercise may also lead to a longer life by helping people maintain their proper body weight. Without any doubt exercise is an important component of any weight-loss programme. And walking is particularly well-suited to the task because it is gentle. The last thing an overweight person needs is an exercise that pounds his joints. Walking revs up your metabolism so you burn more calories. And it increases the burning of body fat, while building muscle tissue. This makes you look much better at a given weight. More important, though, walking increases the number of calories you burn up at rest. How? “Walking builds muscle mass. This increased muscle mass has a higher metabolic rate than fat. That means it is continually burning more calories,” says David Levitsky, Ph.D., a Cornell University professor of nutritional sciences. Brisk walking is as good as jogging for losing weight. Walking one mile at a brisk pace burns up about 100 calories for an average-size individual. Walk away from Back Pain! Walking can help relieve back pain by strengthening and toning muscles that makes the spine more stable. Unlike running, it puts no more stress on spinal disks than standing, and less stress on back muscles than sitting. “To have strong, aerobically-trained back muscles is very important for the prevention and treatment of back pain,” explains Willibald Nagler M.D., a physiatrist (a doctor specializing in physical medicine and rehabilitation) at New York Hospital-Cornell University. Of course, no one with a bad back should undertake a walking regimen without a doctor’s O.K., Dr. Nagler says. Rest, not exercise, is best for acute back pain. And walking can worsen problems like degenerative disk disease. Bones need exercise, too. They respond to weight-bearing exercises, such as walking, by taking on more calcium. They can become thicker, stronger and more resistant to osteoporosis (the age-related bone-thinning disease). Some studies show that the progression of osteoporosis is slowed by regular exercise. “We’ve found that weight-bearing exercise like walking helps to keep bones dense,” says Jo Anne Smith, M.D., of the Osteoporosis Centre at the University of Connecticut. Walking also improves muscle tone and balance, and improves reaction time, which gives you a head start in catching yourself when you feel a loss of balance. In one of the most frequently-cited studies from the USDA Human Nutrition Research Lab at Tufts University in the U.S., nine post-menopausal women walked briskly 45 minutes a day, four days a week, for a year. The density of bones in the lower spine was measured at the beginning and at the end of the year. At year’s end, the walking women showed about a 3 per cent increase in bone density. An inactive group of women of similar age and fitness has an average bone loss of 10 per cent during the year. And a brand-new study on hip fractures confirms earlier evidence of exercise’s bone-insulating benefits: Those who actively exercised one or more hours a day were found to have a 50 per cent less chances of getting a hip fracture than those who didn’t exercise. Says Annila Paganini-Hill, Ph.D., at the University of Southern California School of Medicine, who headed the study, “The active exercises – vigorous walking, jogging and dance – came out winners.” Less strenuous activities like golf, fishing and household chores had little effect on the incidence of fractures. The results came from a study of fracture rates and exercise habits of over 13,000 older adults. Older women’s bones may already be weak. They need to build up slowly. Start walking 10 minutes, three to four times a week. If that goes well, add 5 minutes a week until you get up to 45 minutes of walking per workout. Too much, too soon, can cause stress fractures, especially in the delicate bones of the feet and shins. Foot, leg, hip or back pain is a sign to stop walking and see a doctor. Walk your way to more Good Health! Walking has also been shown to act as a good substitute for cigarette smoking, to help alleviate headaches in some people, and to discourage the onset as well as the progression of varicose veins. Now all you have to do is: just do it! Wow! Now that’s what I call a laser-targeted article!